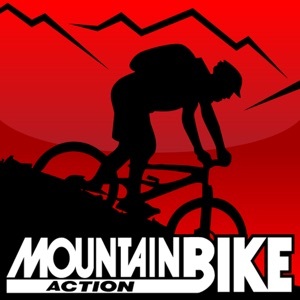 Mountain Bike Action is the world's #1 selling mountain bike magazine. 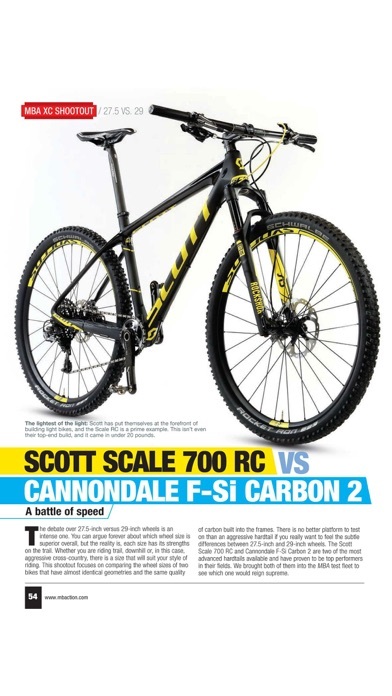 For nearly 30 years, we cover the entire sport, riding and race-testing all the new bikes, parts and accessories, helping you make the RIGHT choices for your off-road cycling experience. 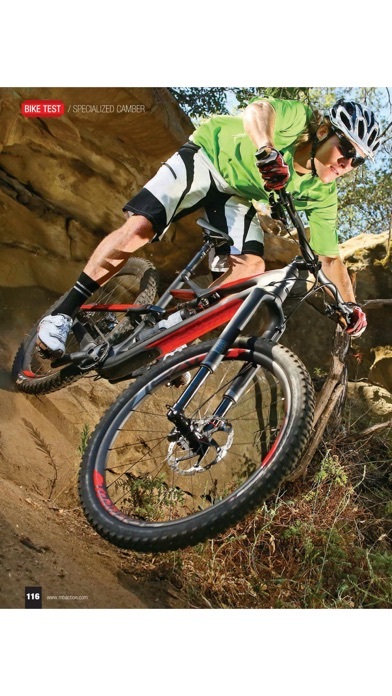 Get training tips from our pros (for all ability levels), plus how-to's and maintenance tips. 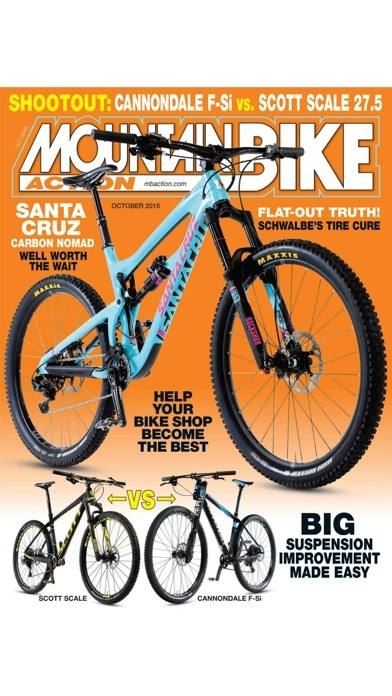 We show you where to find great trails, our pros give you their secret training and nutrition tips, and exclusive interviews with the top riders and manufacturers. We give you perspective on the sport that you won't find anywhere else. 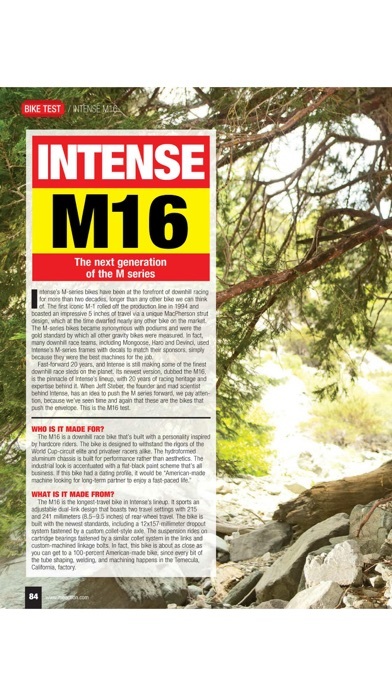 With Mountain Bike Action, you'll know what's hot in the mountain bike world! This App lets you buy current and past issues (which are available within the App) and download them to your mobile device. Each issue has enhanced coverage, special video coverage on races, products, and additional features, including links to all manufacturers' websites. 12 issues (one year) for $8.99. Download single copies for $2.99 each. The subscription will include the current issue. This application is powered by GTxcel, a leader in digital publishing technology, provider of hundreds of online digital publications and mobile magazine apps. 1 year subscription for $8.99 or a single issue for $2.99. Subscriptions will start from the most current eCommerce enabled issue going forward for one year from the date of purchase. Your subscription will automatically renew via your app store account 24-hours prior to the end of your subscription at the rate of $8.99 for one year. You can turn off the auto-renew feature up to 24-hours before the end of your subscription by going to your Account Settings after purchase. Subscriptions cannot be cancelled during the active subscription period.